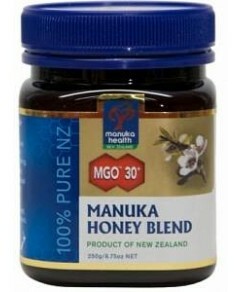 MGO™ 30+ Manuka Health Honey is certified to contain at least 30mg/kg of methylglyoxal. Scientific testing has recognised methylglyoxal as one of the vital compounds occurring naturally in New Zealand manuka honey. 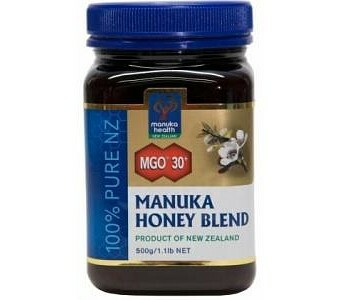 Rich New Zealand Manuka Honey together with the warm floral notes of New Zealand bush honey in this luscious blend.